The aftermath of Ebony Reigns death keeps getting bloodier by day. A lot of issues keep coming up including the conspiracy theories on her death. The Zylofon Media CEO, Nana Appiah Mensah has taken to Instagram to mourn the death of Ebony Reigns, the sensational Ghanaian Afro Diva who perished in a motor accident on the Sunyani-Kumasi road. Priscilla Opoku Kwarteng popularly known as Ebony Reigns was discovered and managed by Bullet (of Ruff and Smooth fame). She was equally signed unto Rufftown Records owned by Bullet. They released several hit songs together. According to Nana Appiah Mensah Ebony was depressed at Rufftown Records and wanted to leave but she couldn’t pay Bullet off. Nana Appiah Mensah further revealed that Ebony begged him to bail her out by paying Rufftown Records off. He further explained that Zylofon Media concluded an agreement with Rufftown Records on Tuesday, 6th February 2018 for Ebony Reigns to join Zylofon Media as one of its artists. Information gathered is that Zylfon Media has already paid half of the agreed amount to Bullet and was waiting to unveil her later next week. It could be remembered that Bullet in an interview barely a month ago stated that He has the power to end Ebony’s career if she ever becomes ungrateful. 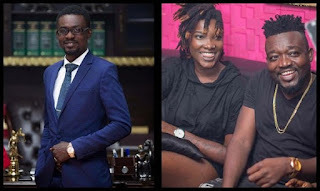 The revelations from Nana Appiah Mensah about Ebony being happy and the previous statements from Bullet have deepened the conspiracy theories about the artist’s death.